Note: This feature is available in Rainmaker Plus plan and above. 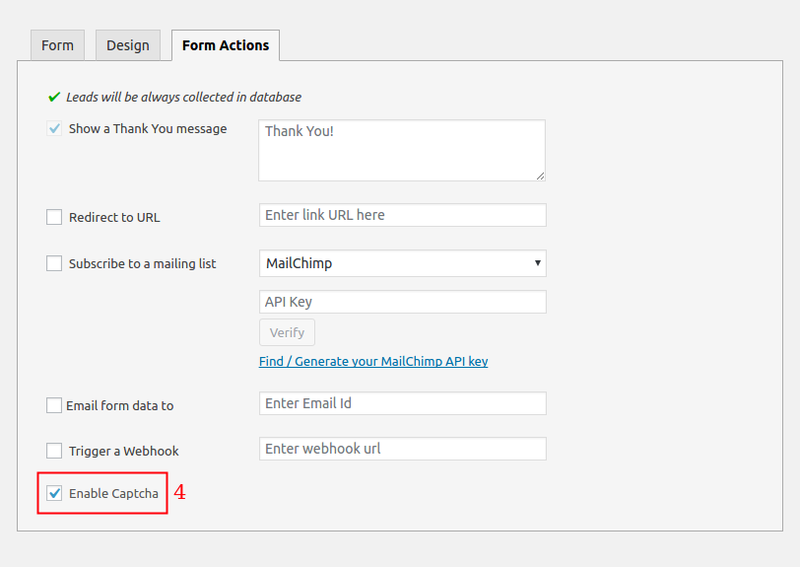 Rainmaker allows to add captcha to forms. Step 2: Create / Edit a previously created Rainmaker form. Step 3: Navigate to the “Form Actions” tab. Step 4: Check the box that says “Enable Captcha“. Step 5: Go to your website page where Rainmaker form is targeted. Step 6: Fill the Rainmaker form on your website and click the forms CTA button. Step 7: Once the button is clicked, the captcha will appear. Answer the captcha and hit verify.